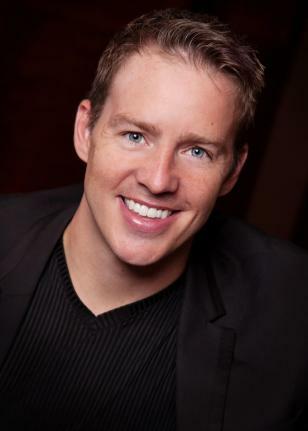 Jeremy Dittus enjoys a career as a pianist, theorist, and Dalcroze Education specialist. An avid recitalist, he has performed solo and chamber programs and presented Dalcroze masterclasses throughout the United States, Europe, South America, and South East Asia. He currently directs the Dalcroze School of the Rockies Dalcroze Academy teacher-training center at Metropolitan State University of Denver, where he serves on the faculty. He also serves on the faculty of Hope College in Holland, Michigan where he teaches Dalcroze Eurhythmics for undergraduate music majors. A former Lecturer in piano, theory, and solfège at the Baldwin-Wallace Conservatory in Cleveland, he also has taught undergraduate solfège, piano, and composition courses at the University of Colorado at Boulder as well as eurhythmics and solfège at l’Institut Jaques-Dalcroze in Geneva, Switzerland, Colorado State University in Fort Collins, Colorado, and in Shanghai, China at the Shanghai Conservatory of Music. He currently serves on le Collège de l’Institut Jaques-Dalcroze (an organization that supports and protects Dalcroze Education around the world). Dr. Dittus is the founder and director of the Dalcroze School of the Rockies in Denver, Colorado, one of the few authorized Dalcroze training centers in the United States. The DSR offers Dalcroze Education classes (Eurhythmics and Rhythmic-Solfège) for children (pre-kindergarten through high school), adult enrichment classes, and full-time study toward the Dalcroze Certificate/License (eurhythmics, solfège, improvisation, pedagogy, and plastique animée). Additionally, he has presented Dalcroze workshops at home and abroad including the Congrès International Jaques-Dalcroze, International Conference of Dalcroze Studies, El Festival Internacional Suzuki de Perú, World Piano Conference, International Early Childhood Music and Movement Convention, Singapore International String Conference, l’Institut Jaques-Dalcroze Cours d’Été, Dalcroze Society of America National Conference, Suzuki Association of the Americas National Conference, American Orff-Schulwerk Association National Convention, National Flute Convention, Colorado Music Educators Association State Convention, Piano Celebration at Metropolitan State University in Denver, University of Louisville Piano Institute, the Shanghai Conservatory in addition to several summer music institutes, universities, and conservatories in North America, South America, Europe, and Asia. He serves on the state board for the Colorado Federation of Music Clubs and serves on the Dalcroze Society of America Board of Trustees. He recently has published books on Dalcroze Education: Embodying Music: A Textbook for Dalcroze Teacher Training toward the Dalcroze Certificate, Moving Sound: A Textbook for Dalcroze Teacher Training toward the Dalcroze License, and five books that correspond to the Rhythmic-Solfège youth program in place at the Dalcroze School of the Rockies. In 2010, Dr. Dittus earned the Diplôme Supérieur, (a doctoral equivalent in Switzerland) from L’Institut Jaques-Dalcroze in conjunction with La Haute École de Musique de Genève and Le Conservatoire de Musique de Genève. While in Geneva, he received top honors including the 2009 Prix pour les qualities musicales exceptionnelles and the 2010 Prix pour les qualités artistiques et pédagogiques exceptionnelles. Before Switzerland, he had the honor of studying at the Longy School of Music for the Dalcroze Certificate and License. He completed a Doctor of Musical Arts in piano performance from the University of Colorado at Boulder; for the Master of Music, he studied piano performance and music theory at the Cincinnati College-Conservatory of Music. During his undergraduate work, he obtained a Bachelor of Music in piano performance and Bachelor of Science in chemistry. Former teachers include Lisa Parker, Anne Farber, Ruth Gianadda, Marie-Laure Bachmann, Sylvia del Bianco, Sylvie Morgenegg, Laurent Sourisse, Andrew Cooperstock, Michael Chertock, Frank Weinstock, and George Cherry.